Warning: While deactivated, the process will not be available to end users. 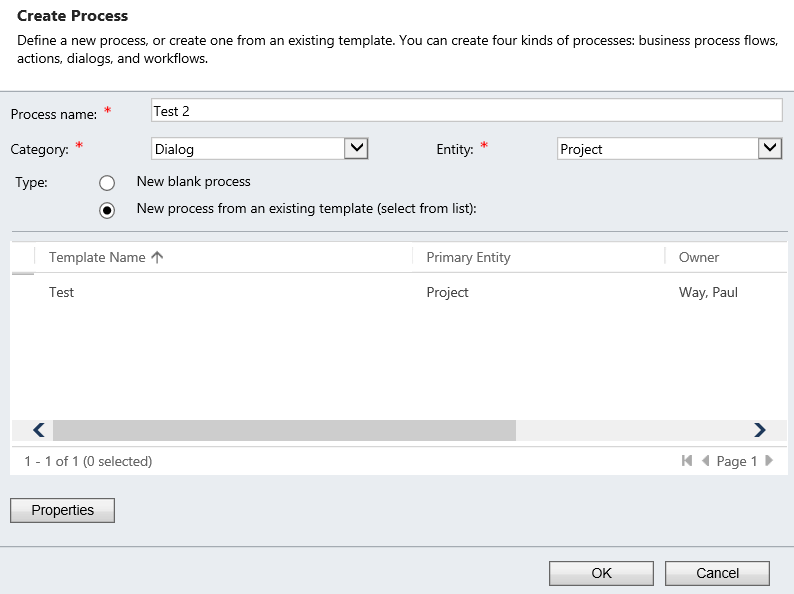 At this point, you can create a new process and select the newly created “Process template”. 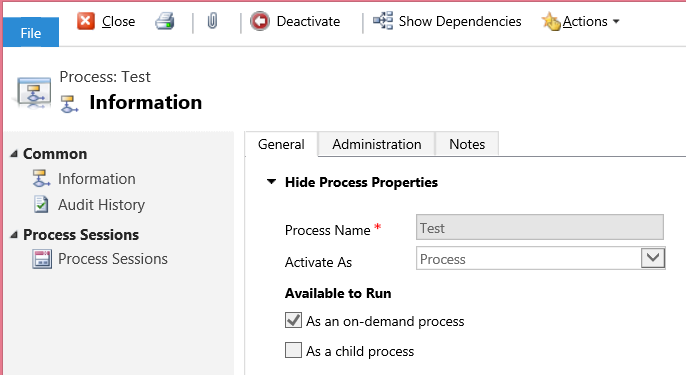 Note: If you do not activate the “Process template”, it will not show up in the template listing. Once you have created the new process, you can switch your “Process template” back to a normal process. At this point, you have two processes with duplicate steps. You can then modify your second process without having to start from scratch. Granted, processes are sometimes so trivial that recreating your steps would be faster than going through this work-around. Occasionally, I’ll have some pretty complex processes that need a subtle difference. Maybe it’s different roles need slightly different fields prompted. Sometimes its because I want to set a bit field and so I’ll create two processes for the user to choose from. Whatever the need, this saves time when needed. I hope you enjoy! Note: Don’t forget to activate your processes so users can utilize them.